I’m a gift giver by nature. I love seeing that smile on someone’s face when they open the perfect gift you got for them. Naturally, I get more excited about gifting as the holidays get closer. I think a lot of this stems back to my childhood. Christmas was always a big deal to my mother. Our house was decorated from floor to ceiling with fake snow, cottage houses, tinsel and garland. She took so much time and care into finding the perfect gifts for each and every one of us. It’s a trait I seemed to have inherited from her and I pride myself on being a good gift giver. You can imagine how excited I was to team up with JORD Watches and gift this beautiful watch to my husband. My husband is a little watch obsessed. You know the cliché saying about girls and shoes? That’s exactly how Cole is when it comes to watches. He always has to be wearing one and can never have enough. We were both so impressed by the quality of the watch. This is the first wooden watch Cole has in his collection. 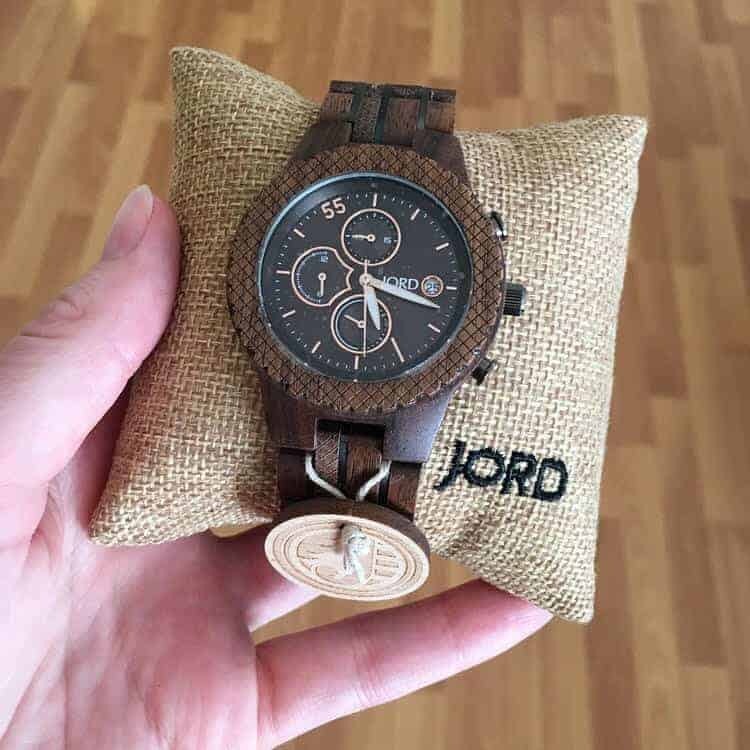 JORD watches use only 100% natural wood and refrain from the use of toxic chemicals to either treat or protect the wood, which is a major plus for me. 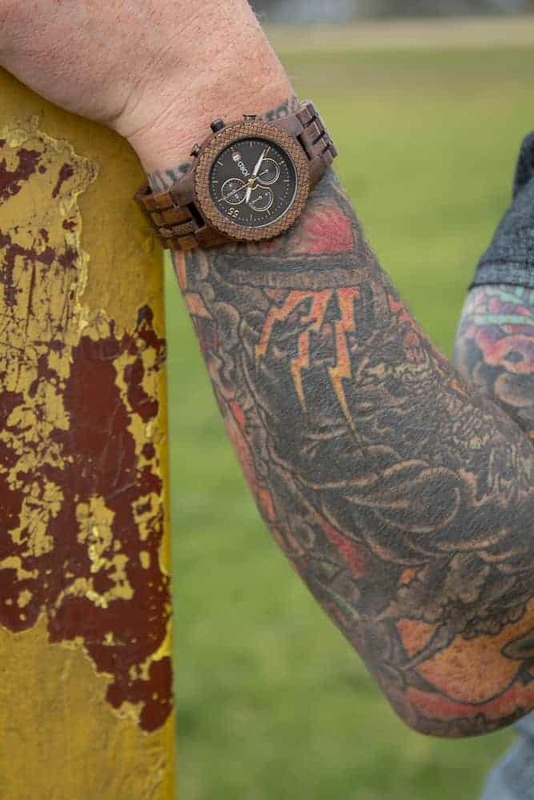 Although the watch is completely made from wood, it is still considered to be splash proof from normal wear type activities (kitchen activities, day on the beach, gym, etc.). One of Cole’s favorite things was the oil and cloth that was provided in the box to condition the watch. This helps to protect the wood from the elements and gave the wood a nice rich and vibrant hue. JORD Watches also recommends Tung oil or lemon oil for conditioning. With the holiday season right around the corner, JORD Watches is offering my readers a 25% discount off any watch ordered between now and December 19th (the last purchase day to ensure delivery by Christmas). 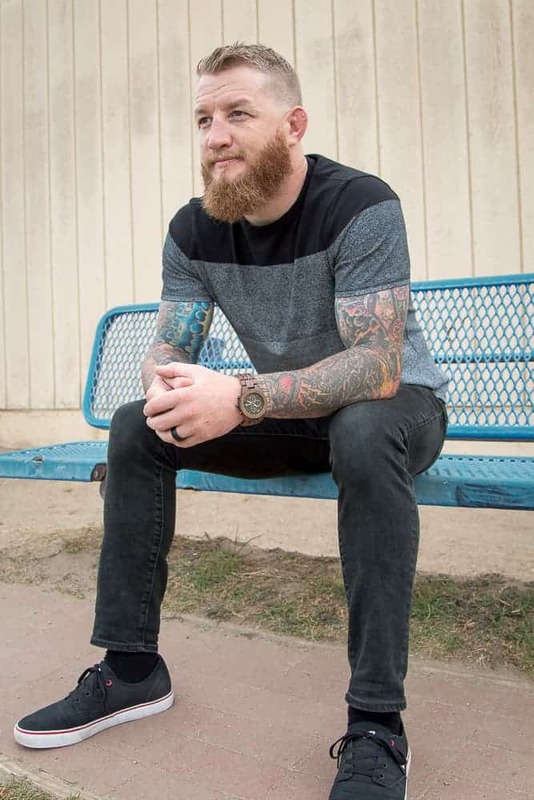 There are tons of men’s styles and women’s styles to choose from. They offer custom sizing and even personalized engraving if you want to add a little special touch to your gift. To get your 25% discount and get a gorgeous wooden watch of your own, click here and fill out the form. This post was sponsored by Jord Watches. I only work with brands I trust and my opinions are always my own. Thank you for supporting the companies that helps to keep this blog running! I love Jord watches!! they’re really high quality! They are! I wasn’t sure what to expect at first, since I’ve never seen a full wood watch. That watch is so nice!! Perfect Christmas gift! ? Thanks for sharing! It’s such a perfect gift for Christmas! I just wish I could get my hubby to wear a watch. There are two things that really “do it” for me when it comes to men….a nice looking watch and a good smelling cologne. And….he doesn’t do either! I even tried to get him a pocket watch for our anniversary his past year and it just sits around. Oh no! Well maybe one day he will come around to the idea of one or both of these things. I like that you tried with the Anniversary gift. I have been wanting to have a JORD wood watch for the longest time. I have actually been saving up for it. Maybe if I save enough, I can get a couples watch and give it to my husband for our anniversary next year. That would be such a nice Anniversary gift. I’m happy to hear you are saving up for one. The quality is so amazing. I love my Jord watch! I need to get one for my man! He can match you in style! Haha! Beautiful watch! What a great gift idea! Such a beautiful watch! It’s perfect for him!